Rusk County Amateur Radio Club: Bill, WB5DDX, earns his Extra! Some folks are just determined to move up. And so is Bill Warf, WB5DDX. He's been held an Advanced Class amateur radio license for years. Recently, he decided it was time to upgrade. This past Sunday, all of his studying paid off. 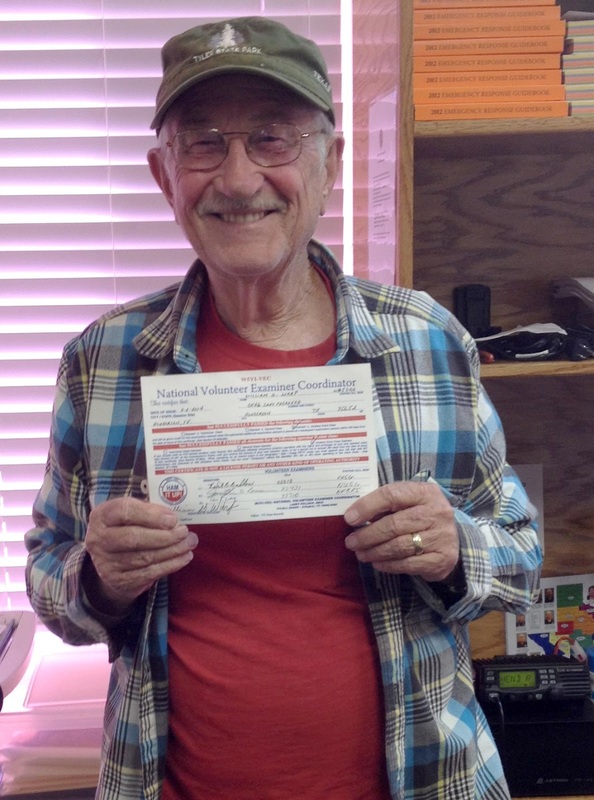 During the Rusk County Amateur Radio Club's first self-conducted testing session, Bill sat for his exam and passed! The relief and excitement was clearly evident on his face when he got the news! Bill has been part of the RCARC for about a year. Congratulations and best wishes to Bill on a job well done!